Sensitive teeth can be very annoying especially when they start to interfere with your life. You can't eat food that you want and have to take extreme care in choosing food to consume for fear of triggering the pain. 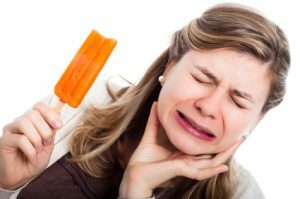 Here are several steps to relieve and prevent teeth sensitivity. The most obvious thing to do is to choose toothpaste made especially for sensitive teeth. There are many to choose from in the market. While such toothpastes might not work immediately, they're definitely a step in the right direction. The important thing to remember is to keep using them. Don't just use a tube and stop after it's finished. It takes a while for teeth to get used to the toothpaste you're using and for the medication to take effect. A saltwater rinse has also been known to relieve the pain of sensitive teeth. Salt is an effective anti-inflammatory and antiseptic. You can gargle salt water twice in a day to relieve the pain. Honey and warm water is also another alternative. Honey is widely known to be a natural antibacterial and is used for wound management. It can help with the healing process and reduce inflammation. Gargling hydrogen peroxide also helps because this compound is used as an antiseptic and disinfectant. It is used to clean cuts and burns to prevent infection. A mouthful of water and hydrogen peroxide solution can help reduce gum swelling and help it to heal faster. Your toothbrush could also be a factor in your teeth sensitivity. Maybe switching from a hard bristle to a soft bristled brush can make all the difference. The manner in your brushing can also affect your teeth sensitivity. Brushing too vigorously could trigger pain receptors in the teeth. Make sure also to brush your teeth for two to three minutes. This will ensure that the active ingredients in the toothpaste take full effect. It's also wise to avoid acidic food and beverages. Red wine, soda, fruit juices, pickled food, and fruits like oranges can greatly exacerbate your teeth sensitivity. These attack the enamel in your teeth causing pain. It's best to avoid these food and drinks or at least minimize their intake. Brushing your teeth about 10 minutes after eating them will reduce their effect as well. If you suffer from bruxism or teeth grinding, this can also aggravate teeth sensitivity. It is best to put a stop to it before it causes any further damage. Teeth grinding wears away the protective enamel of the teeth and exposes the nerve endings. The usual solution is wearing a mouth guard as you sleep or changing your position at night. Another culprit of your teeth sensitivity might be because of excessive teeth bleaching. More and more people are obsessed with achieving the Hollywood pearly whites. The treatment usually targets the enamel of the teeth to make them lighter. The pain usually goes away after the procedure but it's best to talk to your dentist when you feel pain because they might be able to do something about it. Gum disease can also contribute to sensitive teeth pain. Receding gums expose the nerve endings at the base of the teeth which cause pain when they come in contact with something hot or cold - or even by hard brushing. Addressing this issue with your dentist can help relieve the pain of sensitive teeth. The best cure is prevention, as they say in the medical field. Preventing teeth sensitivity greatly depends on practicing good dental hygiene. Make sure to brush your teeth regularly using a soft-bristled toothbrush. Flossing also helps in the overall gum health. Using sensitizing toothpaste on your teeth right before you sleep can also help reduce sensitivity. Kerry Brooks, driven by the passion for blogging, loves to write about health care and beauty tips. She is currently working formycomfortcaredental.com, Idahos #1 leader in Sedation Dentistry providing the best service in East Idaho.